December « 2009 « Geekorner-Geekulture. The Civilian New Year is merely 28 minutes away at the time I am typing this, so I’d like to begin this post by wishing you all a happy new (civilian) year! Anyway, this is a prime candidate for geek music, it’s not merely a filk, but a more professional endeavour. Well, I’ll let you listen to this thing first. Carol of the Old Ones (which even got its own Wikipedia page!) is a take on the Christmas carol of Carol of the Bells, which had been performed by a group that had done such renditions for 24 christmas carols (I believe), in two discs. I actually put my hands on one of the discs, and I wasn’t too enamored with the rest, which may have something to do with lack of yearly exposure to these songs, or holiday anthems, so to speak. 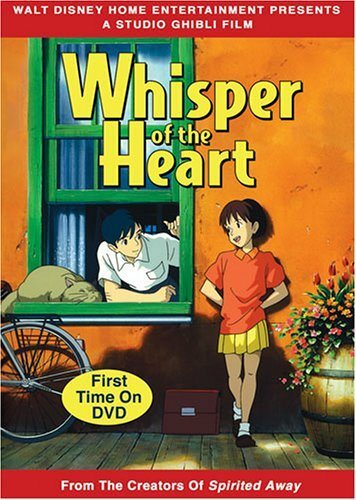 Whisper of the Heart – The Dreary versus Fantasy (Worlds). The kids, and the cat. So I’ve watched Whisper of the Heart in a Hayao Miyazaki focused film festival of sorts last Friday (along with Porco Rosso, I’ve watched all the other films they had there previously), and I was bothered by something in Whisper of the Heart, well, a couple of things. There will be a certain amount of spoilers, be advised. The first is that it had a “point”, a moral, a lesson it had tried to pass, when I think it’d have worked better as a “Slice of Life” story that just showcases something. Porco Rosso on the other hand was cute, but it was rambling and a bit directionless. Whisper of the Heart follows Shizuku Tsukihima, a girl who loves reading books, at her senior year of junior high school. In a way, she lives in the world of imagination, reading books voraciously, and fantasizing about the boy whose name appears before hers in many of the books she loves. By the by, she is a junior high school student, and while some aspects of her and her classmates seem a bit off in age, as in, some fit high schoolers better, and some actually fit elementary schoolers (and even 4th-5th graders at that), on the whole, it seemed fitting, the behaviour, which meant quite a bit. I hate it when films totally butcher how younger people behave for the sake of cliches. Sympathetic Viewer Awkwardness; The Office, American Pie 2, etc. There’s something I dread when I watch comedies, and it’s even more prevalent in certain black comedies where they are played seriously, dead-pan. I like to term it “Sympathetic Viewer Awkwardness”, which happens both when the character feels awkward, but much more commonly, when we feel awkward for the character. 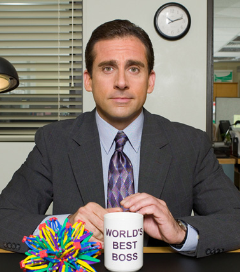 Take for instance the American version of The Office, starring Steve Carell as Michael Scott, the boss at a small office where they sell paper. Michael will not miss an opportunity to be rude, racist, sexist, and offensive. His staff obviously pays him no mind, and don’t take him seriously. I do remember the scene where he asked every person in the office to talk as if they were someone from another “group”, and he drew the “Indian” card (India, not Native American), and then Kelly, the Indian worker, had walked in and had slapped him, since she thought he were mocking her.